The highly skilled and experienced sexual abuse injury attorneys at the Law Offices of Michael A. Fiumara have dedicated their careers to helping victims like yourself receive the compensation that you rightfully deserve. We are ready to begin advocating on your behalf immediately since time is often of the essence. You cannot afford to let an insensitive and distant insurance carrier decide what happens to you and for that matter, what kind of compensation you deserve. Please do not leave your future to an insurance carrier! Contact our law office 24/7 at (855) 247-3190 and we can help. We also recognize that your case is more than just about money. Your case is about principal and justice. Your case is about holding the irresponsible and reckless people who have committed sexual violence and improprieties accountable for their actions and behavior. Results–The highly skilled and knowledgeable team of attorneys at the Law Offices of Michael A. Fiumara works hard to hold every perpetrator fully responsible as well as the organizations who they have worked for totally accountable for their actions. We seek-out justice and financial compensation for our victim clients with a passion for justice! The Law Offices of Michael A. Fiumara in 2007 settled one of the largest priest/abuse molestation cases in the North Bay for over $5,000,000 with the Diocese of Santa Rosa in the Father Ochoa scandal that rocked the diocese to the point that Bishop Walsh was criminally charged. Claims involving sexual abuse and molestation can be extremely and incredibly difficult and emotionally traumatic experiences for the young victims. When representing clients or victims of sexual abuse, we find that reliving the past can often prove frustrating, stressful, and overwhelming, but our law firm provides our clients with access to our professional network of world-renowned doctors, therapists, psychologists and behaviorists and other healthcare providers to treat patients with no upfront or out-of-pocket costs until after the case settles. If you or a loved one is a victim of sexual abuse either by a clergy member, priest, coach, teacher, nurse, doctor or anyone in a position of trust and/or power, then please feel free to contact us immediately for a free confidential consultation and case evaluation so that we may help you. If you call after hours, our operators will connect you to one of our compassionate attorneys any time of the day or night. Please feel free to contact us at any one of our conveniently located offices in Santa Rosa in Sonoma County at (707) 571-8600 or you may contact us at our San Rafael office in Marin County at (415) 492-4507. We are only one phone call away, so please don’t hesitate. Boy Scouts and Girl Scouts of America. Sexual abuse in foster care. Catholic dioceses, priests and other clergy abuse. Sexual abuse by teachers, school administrators, and janitors. This is not meant to be an exhaustive list. Oftentimes young victims are abused by those who are given temporary custody or easy access to them because of a family emergency or because of some other legitimate reason. just because the situation is temporary, if the sexual abuse occurred, it needs to be rooted out and those responsible for violating our most vulnerable citizens need to pay the price. If you are not sure that you were sexually abused, then you might want to speak to one of our attorneys to seek medical and psychological treatment and care in case the memories have been suppressed. Unfortunately, sexual abuse can cause long-term negative social and psychological effects. Sexual abuse can have an extremely devastating impact on victims’ mental health, physical health, and ultimately their quality of life. Since the Law Offices of Michael A. Fiumara recognize this as being true, we are absolutely committed to having our clients receive the appropriate professional treatment so they may begin to heal. We have a great network of psychiatrists, therapists, and other healthcare providers who will treat our victims on a lien basis only since the law firm works on a contingency fee basis. Sexual abuse criminal proceedings do not award monetary damages to victims unless there is no insurance and no other means to collect compensation. The district attorney’s office administers what is known as a Victims Assistance Fund, but that money is often miniscule and does not cover the full damages and/or injuries that sexual abuse victims incur. Therefore, it is very important to seek out the violating party’s insurance to seek compensation. 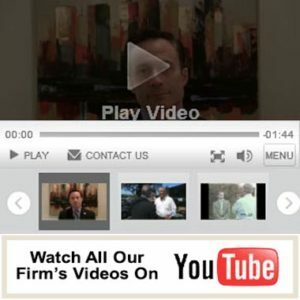 Some abuse cases can be complicated because the incidents occurred many years ago and perhaps beyond the statute of limitations and that is one of the crucial reasons why you should consider a very experienced team of skilled and highly knowledgeable, experienced sexual abuse attorneys to review your case to determine whether your case is viable. Other factors that complicate sexual abuse cases is that these incidents could have occurred between family members, neighbors, coworkers, prominent figures and political leaders in the community, trusted teachers, coaches or a religious leader, pastor or priest. In any situation, sexual abuse crimes should never be tolerated in a civilized society and should be vigorously pursued in the civil and criminal courts. Our law firm is dedicated to ensuring that the voices of sexual abuse victims are heard and that justice is swift and complete so that closure may be achieved. Our experienced and highly skilled legal team consisting of sexual abuse attorneys has ample resources, the nerve and the tenacity to tackle these complex sexual abuse cases to ensure success. Oftentimes victims want their cases heard in a way that will minimize the publicity and maximize their privacy. However, if a mediated settlement or arbitration will not compensate a victim for his/her injuries, our experienced and highly skilled team of sexual abuse attorneys will fight aggressively in court to bring about a successful resolution and full compensation. WE also have been successful in having the Court records sealed for additional privacy. Confidential settlements are often preferred when the sexual abuse occurs within families. While our victim clients can focus on the healing process, we fight it out in the courtroom. We consider ourselves aggressive litigators who achieve top results because our team of highly skilled and experienced sexual abuse attorneys will work tirelessly to see that our clients are generously compensated and that justice is served! Don’t hesitate, please call us for a free, confidential consultation and case evaluation at our general toll-free number at (855) 247-3190. WE STAND UP FOR OUR CLIENTS AT THE LAW OFFICES OF MICHAEL A. FIUMARA! The sexual abuse attorneys at the Law Offices of Michael A. Fiumara fully understand the sensitive nature of sexual abuse cases. Hence, we are committed to handling your case in a sensitive, discrete, and professional manner in the community. Our team of skilled attorneys will work to achieve the most favorable compensation for every client victim by our aggressive, ethical and honest representation. We have earned a reputation in the community because of the high standards that we employ while we strive to achieve the best outcome for each of our victims. The Law Offices of Michael A. Fiumara fully supports our clients and is 100% committed to meeting their needs and goals. The highly skilled and experienced team at the Law Offices of Michael A. Fiumara fights to win and fights hard for all of its clients. In addition to maintaining strict confidentiality for our clients, our legal team works diligently and tirelessly to keep in close contact with all of our clients and their families. Our goal is to go as far as possible within the legal system to redress the wrong done to each of our clients. Please let us help you get the justice you deserve.